“A new disease is on the horizon—and it's career threatening. As the economy heats up, people switch jobs for the wrong reasons and catch ‘job hopping syndrome.’"
In a few days, more than 150,000 people read the message. It’s obviously an important topic. The detailed post that followed explained how job seekers can avoid the problem by being more diligent when comparing and accepting offers. 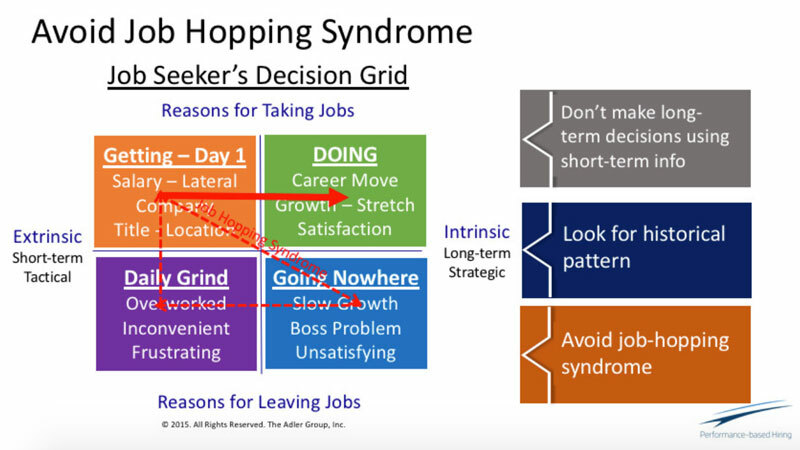 Job Hopping Syndrome (JHS): Switching jobs multiple times for the wrong short-term reasons, winding up with too many wasted years. When necessary, good recruiters can intervene to minimize the problem by suggesting to candidates they should only accept offers that provide a minimum 30% non-monetary increase. The form below (download) can help guide this evaluation process along. The 30% is the combination of a bigger job, a mix of more satisfying work including working for a strong hiring manager, a job with more impact and one that offers a high probability of continued growth and learning. When first approaching a top person, start with the premise that no one should make a long-term career decision using short-term information. Explain the 30% as the benchmark for making the decision and what information is required to make the assessment. Then make sure you get the person the evidence needed to prove that your job is the best career amongst competing alternatives. The following three tips (and examples) will also help recruiters counsel candidates who are comparing offers. Done properly, they’ll close more offers within budget and prevent most counteroffers. 1. The candidate is overqualified, but still interested in the role. On a recent embedded search project, I overheard one of the recruiters involved using baloney to convince a strong, somewhat desperate (but overqualified) candidate that the job was great for a variety of superficial reasons. I intervened and later told the candidate the job was not big enough for him and told him why. He gave us a great referral based on this honesty once we clarified why the job was a step down for him. Lesson: Recruiters need to be straight with their candidates. Pushing someone into short-term career decision-making (the upper left corner of the decision grid) might help close more offers more quickly but it will backfire when the person learns the truth. 2. The candidate is potentially qualified, but not interested. On another recent project, a top-notch candidate believed he was perfectly qualified for a much bigger role because he understood what needed to be done but was not interested in what he considered a lateral transfer. He changed his mind when I described the Key Performance Objectives (KPOs) for the job and suggested knowing how to implement a global business process was not the same as actually implementing it. This required project management, systems, and collaboration skills the person had not yet acquired. 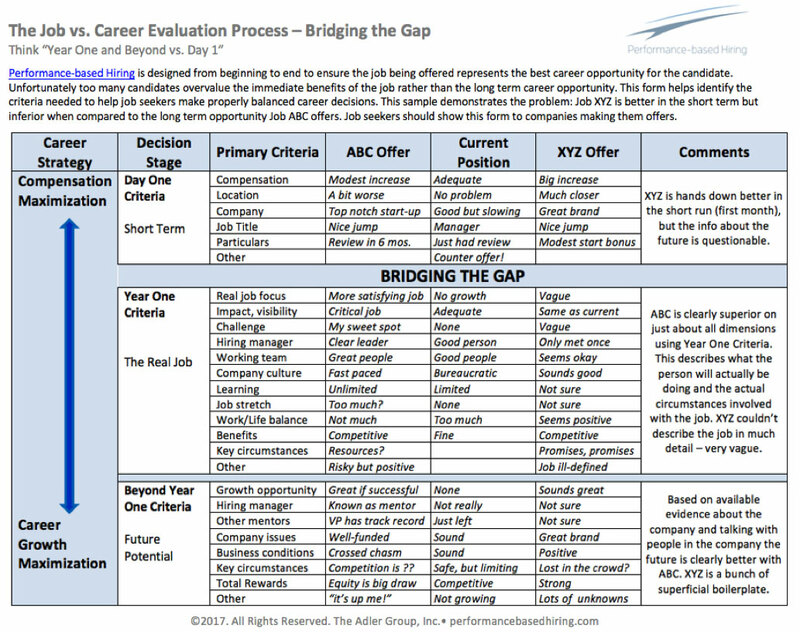 By clarifying the expectations this way and describing the career gap, the candidate saw the same job as a great step in his career development. 3. The candidate almost accepted a lesser job elsewhere. This happened early in my search career when a candidate told me he was accepting another job and rejecting my client’s offer. 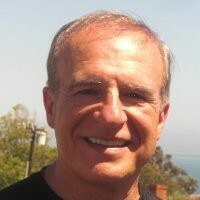 His reasons related to a slightly higher compensation, a better title and a job closer to home. When I suggested he was making a strategic decision using tactical information, he paused. A day later, he accepted my offer since it was in a more advanced industry with a company going through major change rather than an old-line manufacturing company. Nine months later, he called and thanked me. He said everything I mentioned was true and, in fact, he had just been promoted from a plant manager role to a VP of Operations over multiple manufacturing sites. By ensuring candidates are accepting offers for the right reasons, you can prevent them from hopping to a new job right away and ensure you are making high quality hires.